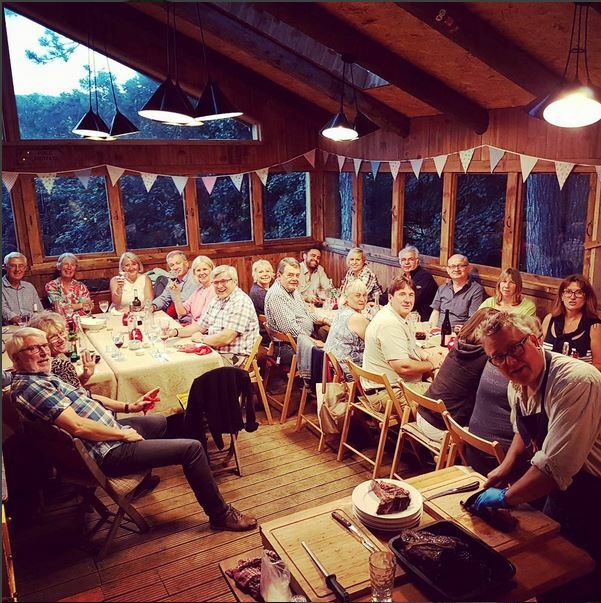 Our pop up suppers have been just fab this year – lots of lovely people having fun and enjoying great food on our new wood fired oven deck. We’ve only got a few evenings left – our pizza night on the 15th September followed by a couple of fundraising suppers for Dartmouth Food Festival, all helping to add to their coffers. We have though joined up with our friends Jonathan and Suzie Sutton of Michael Sutton’s Cellar to put on a winter series of Sunday lunches. 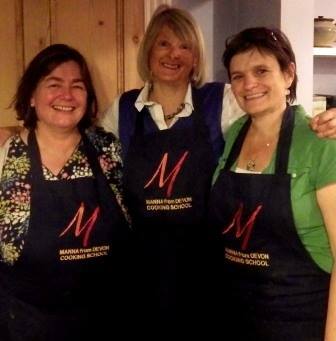 We’ll be doing the food and they will be providing the wine to match so hopefully you can join us for one (or all) of our leisurely Sunday afternoons on the 20th November, 22nd January and the 12th March next year. £45 per person for a welcoming drink, lovely 3 course lunch with a glass of wine for every course (2 with the main) and coffee to finish; there’ll also be the option to buy more wine if you’d like to. Decide on your menu and practise it a couple of times. Also work out catering quantities of food; just because you’ve got 20 people coming for supper doesn’t mean you need 5 times of every recipe for 4. Make sure you can sit everyone you’ve got coming with enough space to move between them and carry food. Have you got enough cutlery/crockery/glasses?? I’m not sure it matters hugely if they don’t match but if you haven’t got enough stuff, see if you can borrow it from friends. Paper napkins are just fine but I quite like a material table cloth – ours are a set of Habitat curtains that never got put up that also cover our trestle tables really well. On that subject get or borrow some foldable trestle tables and chairs then they are easier to lug around as you are setting up the room. Make sure you are aware of hygienic food handling principles and do an online course – not very expensive but will teach you lots and keep the local EHO happy if you know what you are doing. Invite lots of people and keep a list of who is coming with their contact details. We email them a couple of days before with the menu and just to remind them they are booked in. Include directions of how to get to you and your phone number in case they get lost. Plan your menu to suit your kitchen -we cook on the wood fired deck in our wood fired ovens but make the food fit your kitchen and what you can make without getting stressed; I think slow-cooked mains like a shoulder of pork or a big old stew are a good idea, real crowd pleasers and will keep happily if you are running late. Pre-prepared cold starters and desserts are advisable and then there’s no last minute faffing but make sure your fridge is cleared in advance so you have plenty of space or bring in some big ice boxes. Think up a theme for the food – we’ve had 4th of July nights with American Chilli; Brixham Fish Suppers; Steak Nights; Pizza Nights….. Charge a reasonable price and tell people what you are raising money for and if it’s a fundraiser we might incorporate a raffle on the night to raise a few more funds. Have some change handy. Get some friends in to help with the waiting and clearing up, if they’ve got some catering experience so much the better. Best not to open the wine for the staff until after the event….. Enjoy the evening, wear comfy shoes and clear up before you go to bed!